SPRINGDALE – The big city is coming to small-town Springdale. 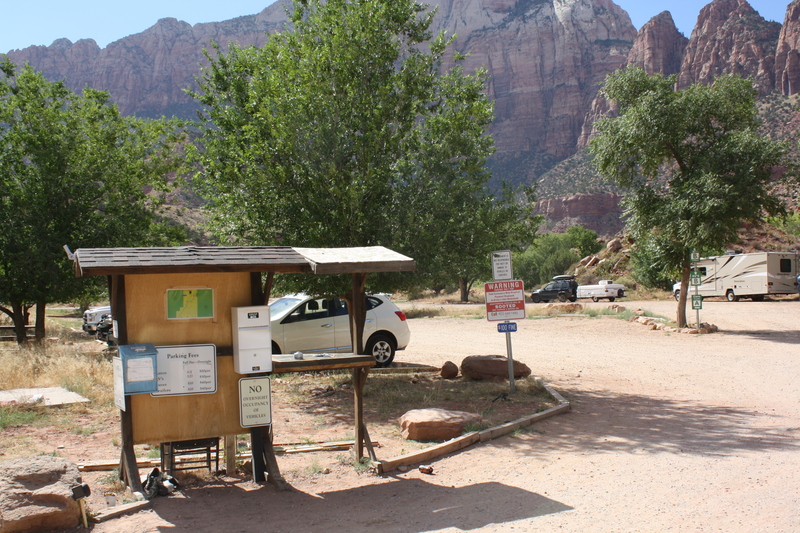 Starting in mid-April, there will be no free parking in Springdale for Zion National Park visitors looking to park in town and ride the town shuttle to the park entrance. Visitors will have to pay for parking at one of several privately-owned lots or at any of 40-45 parking meters the town is installing along its two major streets. 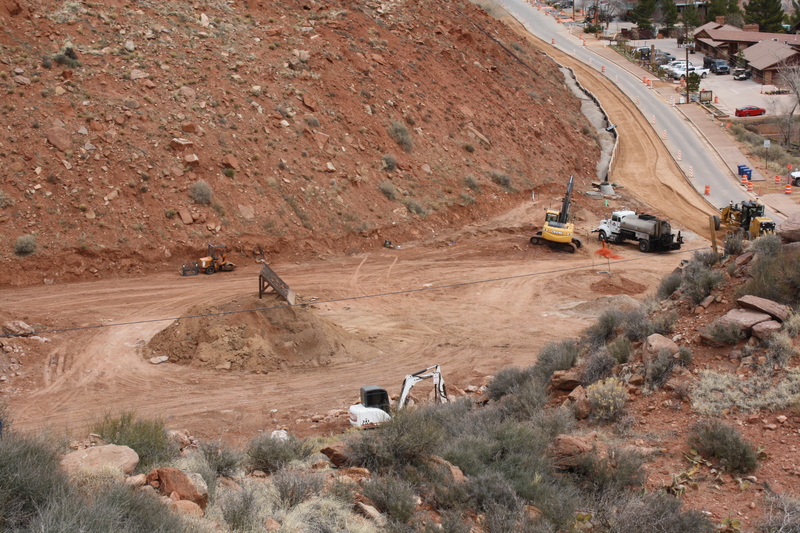 These changes are expected to be in place by the time the Utah Department of Transportation has finished reconstructing state Route 9/Zion Park Boulevard, which is slated for completion on April 15. Parking meter rates will be $1 for the first hour, $3.50 for each additional hour with a daily maximum of $22, Dansie said. These rates are, by design, slightly higher than the rates charged by the private lots in town. The meters will alternate on either side of SR-9/Zion Park Boulevard between the park entrance and the town’s post office. From Holiday Inn and LaFave Gallery going south, street parking will only be on the west side of the street. To help promote a pedestrian friendly atmosphere as well as for better safety, the new parking program provides for no street parking between the post office and Holiday Inn/LaFave Gallery. There will be parking on both sides of the street up Lion Boulevard. Parking at the meters will be parallel only and there will be no tourist parking available on residential side streets, which either have no parking whatsoever or require a residential parking permit. “The unfortunate thing is we’ve been forced into this by parking congestion the last three years,” said Springdale Community Development Director Tom Dansie. Calling the former parking chaos an “unsustainable situation,” Dansie said he realizes parking will now be less convenient for visitors. Springdale town leaders felt the new system is necessary, both to control where people park in town and to raise money for future transportation projects. Unfortunately there has been a misperception that the new parking system is somehow designed to be a cash cow filling Springdale Town’s coffers, but UDOT actually prohibits the town from doing that, Dansie said. Even if the town could do it, he added, it wouldn’t because it is fully focused on improving the town’s transportation situation. In a nutshell, the Springdale community sees this project as a way to build for a better transportation future, Dansie said. Parking meter revenue is projected to be between $800,000 and $1 million annually and will cover salaries of parking enforcement personnel and any other administrative and capital costs. Any remaining balance of meter revenue will go towards future transportation projects such as sidewalk and transportation improvements in town, the construction of remote park-and-ride lots and a St. George-to-Springdale shuttle route – the prospect of such a shuttle is gaining steam, Springdale Mayor Stan Smith said in the most recent Town Council meeting. The town hired one parking enforcement operator during a 90-day pilot project last summer and will need to hire one more person to assist. Staffing needs could change, Dansie said, and they may need to hire additional parking enforcement personnel in the future. The town also contracted with a company called Parkeon as the vendor for the parking meters. Dansie mentioned in the last Town Council meeting that Parkeon is well established within the parking industry, has an excellent reputation and good customer service. One is a 95-space lot at the intersection of Balanced Rock Road and SR-9, which was originally planned as a two-tier parking structure; but due to setbacks in timelines because of clay underneath the site and scheduling concerns, the developer was not ready to build a parking structure this season, according to recorded minutes of the Jan. 17 planning commission meeting. That plan to build a parking structure could still come to fruition at some point, but for now the town and developer decided it would be best just to construct a surface lot, which would be much faster way to increase the town’s parking capacity in the immediate. The second new private parking lot is located next to LaFave Gallery. It will have 30 spaces and include restrooms. Other private lots that were in operation last season are across the street from Cable Mountain Lodge near the park’s south entrance, one up Lion Boulevard west of Zion Adventure Company and one behind Whiptail Grill. OK, something isn’t making sense here. Only 45 parking spaces in Springdale on a 3-mile stretch of road? And how is that going to help anything? How many cars visit Zion Canyon every day in the summer? $22 to park on top of the $30 entrance fee?? Way too expensive. If Springdale wants to benefit from all of these visitors, the town needs to prepare better and treat people better. This does not seem like the way to do that.